In personal part-time farm the Chicks can be deduced in two ways – the use of electric incubators, which are presented in trading in a wide range or sit on eggs chicken hens. To successfully evaporated hen chickens, you should follow certain rules. If you are going to evaporate chickens the natural way under a hen-a hen, you should know that not every hen is able to sit on the clutch and successfully to evaporate, that is to survive till the end. This files most often grow out of the hen chickens, evaporated under a hen. Chicks in the incubator, very rarely retain the ability to natural incubation, and attempts to make them the hens do not lead to success. If you see that the chicken had a desire to sit on the clutch, Dotes, then equip her for breeding. Make a separate nest in a dark place of the house. To do this, bring down the box size of 70x70 cm, place away from bird feeders and perches. If you will boil chickens from under a couple of hens, it is most efficient to separate them from the rest of the chicken population of a fence from mesh-netting. Feed and water hens, all of you will be separate from the rest of the chicken population. Prepare the fresh eggs. 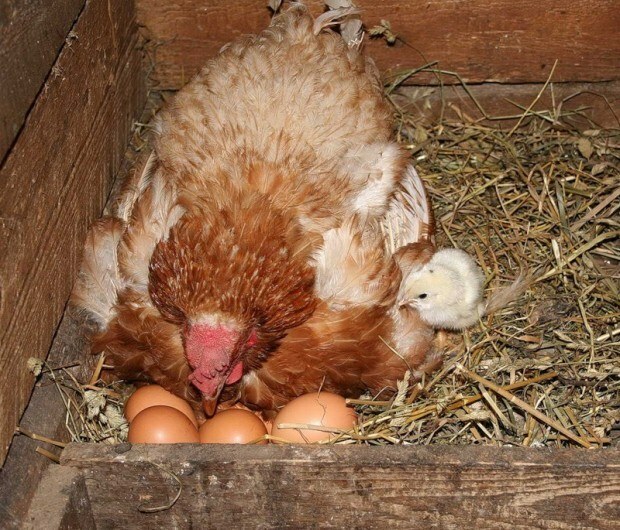 One hen can evaporate approximately 12 eggs and then only if it is quite large. Chickens for broiler hatching eggs are not suitable. 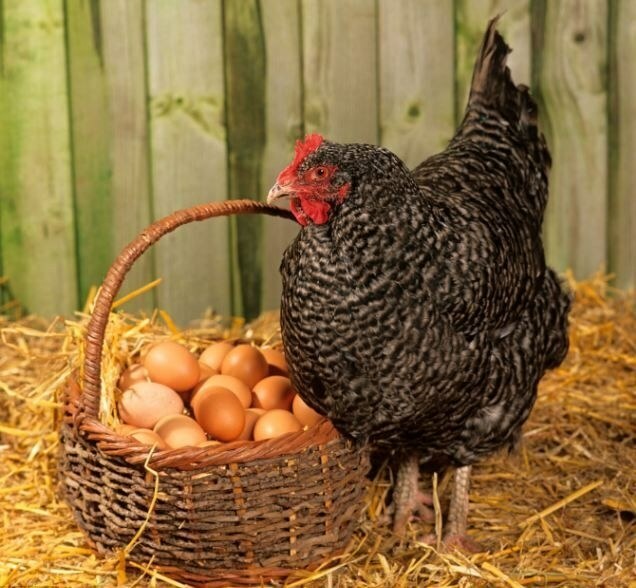 Suitable only purebred breeds of egg or meat-egg hens. All eggsthat you are going to evaporate, it needs to be fertilized, to check them by candling, clean and carried no more than 10 days ago. Your task is that you have to put in the slot the required amount of eggs, ready to evaporation and plant them on the chicken. Will the hen need to steam or not is not up to you. The most optimal period for incubation is considered to be the beginning of the evening. So put the hen in a prepared socket immediately after the evening feeding, cover, nest wicker basket. Once a day release the hen for feeding. The first days of incubation, feed the chicken only whole grain and water with clean water. After 4 days the trash can to remove the chicken since the eggs will not rise. During feeding, a hen running very quickly, eats, drinks and sits down again on the clutch. If you notice the crushed eggs, then replace them, but it can be done only in the first two or three days. After 6 days, check the eggs by candling. This is best done during feeding chicken. All eggsin which no embryos, remove. The Chicks will begin to hatch approximately 21 days after the start of incubation. Use the chicken hen is very convenient, as there is no need to monitor temperature of the incubator and adjust the humidity.